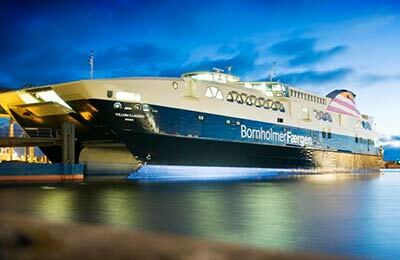 You can use AFerry to book a BornholmerFærgen ferry to Denmark, Sweden and Borholm Island. BornholmerFærgen is a Danish state owned company offering the highest standards in maritime transport. AFerry always has cheap prices for BornholmerFærgen Ferries and the latest special offers. 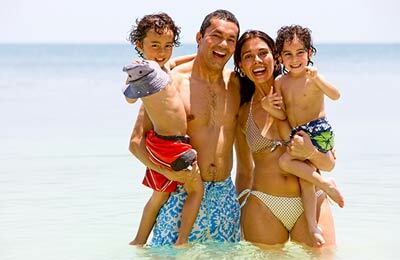 You can use AFerry to book BornholmerFærgen ferries to the ports of Koge in Denmark, Ystad in Sweden, Sassnitz on the Isle of Ruegen and Ronne on Bornholm Island. See below for the latest BornholmerFærgen prices and sailing times. Click on your ferry route for a detailed BornholmerFærgen timetable. BornholmerFærgen's fleet consists of three modern, comfortable, well-equipped ferries. The H/F Villum Clausen, the M/F Povl Anker and the M/S Hammerodde. On the all BornholmerFærgen ferries you will find a shop, a bistro serving breakfast, cold drinks, snacks and sandwiches, a cafe serving breakfast, drinks and a small selection of cold dishes as well as a children's area showing cartoons for the 'little passengers'. On the M/F Povl Anker and M/S Hammerodde, which are used on BornholmerFærgen's longer routes, you are also able to book cabins of the highest quality meaning you arrive at your destination feeling fresh and ready to go! You can book your cat or dog on board a BornholmerFærgen ferry with AFerry. How long before departure should I arrive for Bornholmstrafikken Ferry? Latest check-in is 20 minutes prior to sailing departure for all passengers. Bornholmstrafikken uses an automated check-in system. To use automated check-in, you will need your Bornholmstrafikken booking reference.